I’m back from an incredible and highly educational experience at SXSW V2V in Las Vegas. I’ve attended SXSW Interactive in Austin for the past 4 years but this was my first time attending the Vegas conference. 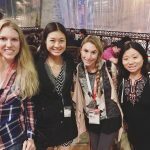 V2V is SXSW Interactive on a smaller scale, but the quality of content and connections I made were impressive! 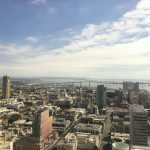 The focus is more on educating startups and small business owners. 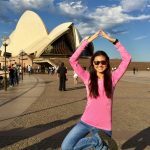 I liked the intimate environment because it allowed me to build deeper relationships. Just like I do my top 10 SXSW Interactive recap each year, here’s a recap of the top ten things I experienced at V2V. 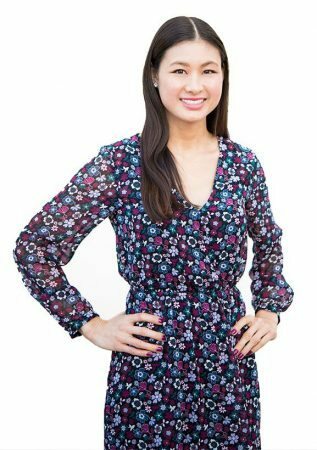 You’ll find tips you can apply to your own business, mixed in with my favorite moments and fun experiences. 1. Opening Night Mixer- After snagging my badge and program (I was proud to discover my session received a full page in the program! 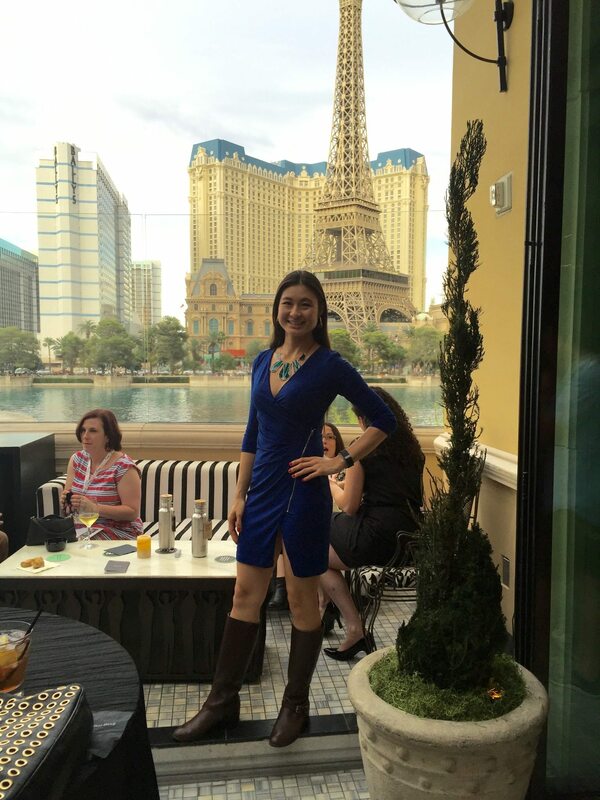 ), I was invited to attend the opening night mixer at Hyde in the Bellagio. I appreciated the fact that all of the speakers were invited to come an hour early to connect with each other. Not only did we have a gorgeous view of the water show, it was inspiring to hear from many other experts. The generous open bar and tray passed apps really hit the spot. 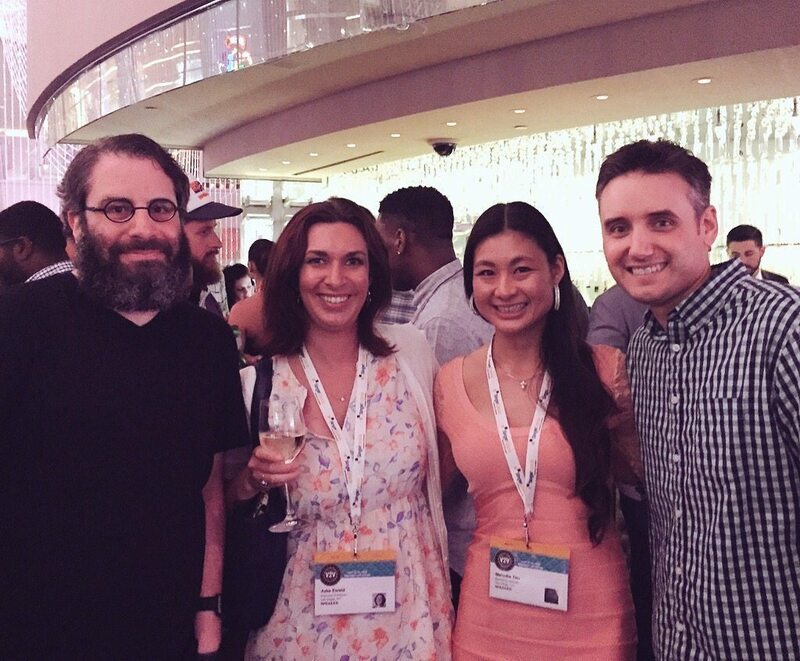 This event set a positive tone for the rest of the conference and made me feel a sense of community when I ran into people I met opening night. 2. 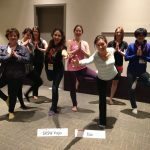 Yoga for the Busy Body– I had the pleasure of being the yoga instructor the the conference! I taught 2 morning yoga classes. I created a special class for the conference called yoga for the busy body. I incorporated poses that students could easily replicate at home and even at work! I absolutely love the fact that I had many students who have never, ever practiced yoga but decided to try it for the first time with me. 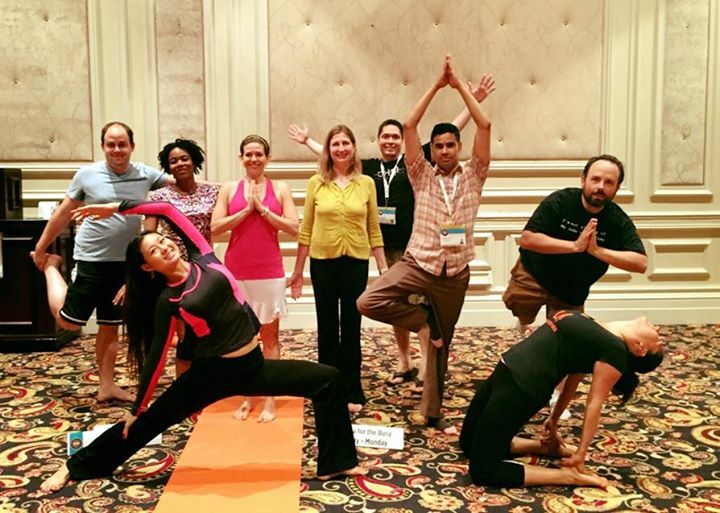 I’m honored to introduce yoga into new lives at a tech conference of all places! 3. Marketing Your Way to Success Through Social Media Branding- It was an honor to present a Core Conversation at SXSW V2V. I love the Core Conversation format because it’s interactive. 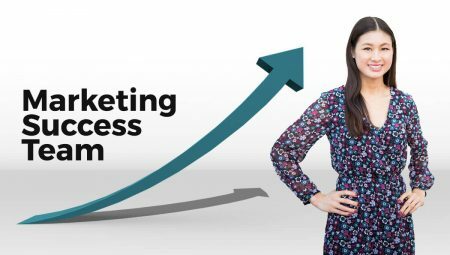 I created the topic, Marketing Your Way to Success Through Social Media Branding . I then created 3 main concepts around the topic: 1) Establish Your Brand; 2) Create Your Content; and 3) Build Your Community. I shared my own insight and ideas for each, then I asked questions for the audience to answer about each concept. My questions prompted the crowd to share ideas, success stories and challenges. One of the attendees wrote a recap of my session you can read HERE. 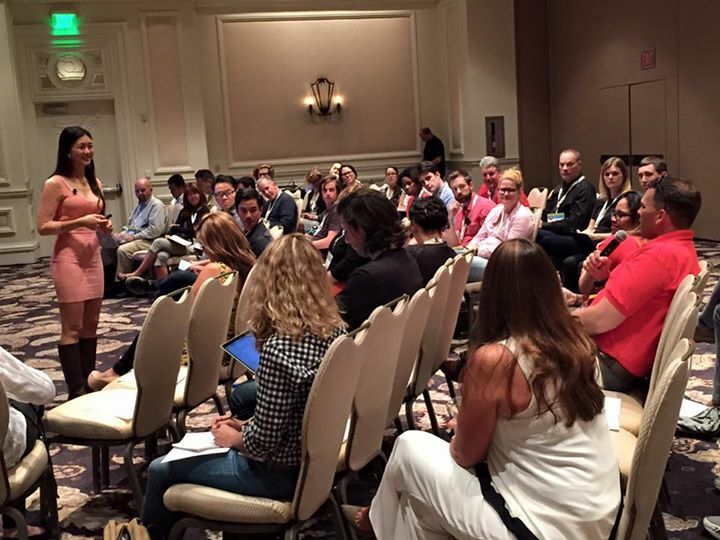 You can also read an article about my session from Serena Ehrlich, Director of Social and Evolving Media at Business Wire: SXSWv2v Event Reveals Frank Insights into How to Brand Your Startup. I know there were many sessions to choose from so I’m grateful for everyone who attended my Core Conversation, we had a packed room! 4. Netwalking– What a great concept! I’m definitely going to be netwalking more often. Rather than have a meeting in a stuffy room, you take it outside to walk and talk! I love this idea because it promotes, health, wellness and creates a positive environment to get to know your colleagues. Netwalking sessions were hosted in the morning but since I was teaching yoga, I missed them. Instead, I got to catch up with Netwalking Founder, Jessica Tunon and walk with her one on one. During our walk we made an impromptu video explaining Netwalking. 5. 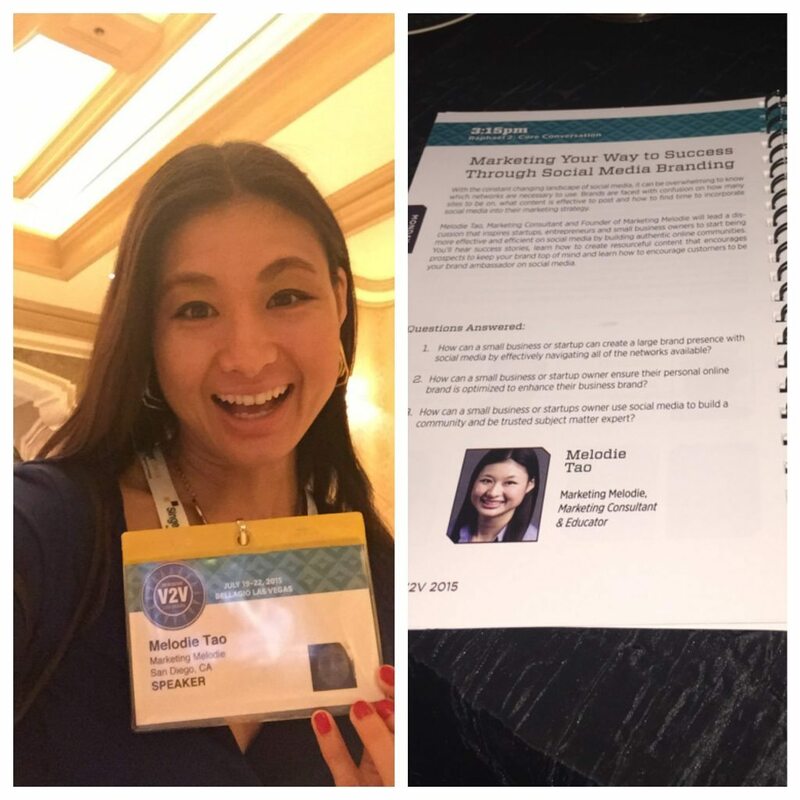 Mentor Sessions– Instead of attending the larger presentations, I opted to spend more time participating in the Mentor Sessions to build personal connections with other leaders. There were over 2 dozen mentors, (all experts on various topics including public relations, startups, marketing, etc.) who were all available for 10 minute one on one chats. I was surprised at how much valuable information can be exchanged in 10 minutes. The format forces you to be clear and succinct in describing your business and your needs given the limited time. Here I’m pictured with RoseMarie Terenzio, Founder of RMT PR Management. She gave me great tips on writing my book and information on using public relations to promote it. She highly recommended I hire a book agent, which is something I never thought of before. If you’re a book agent, or know of one, please send me your referrals! 6. 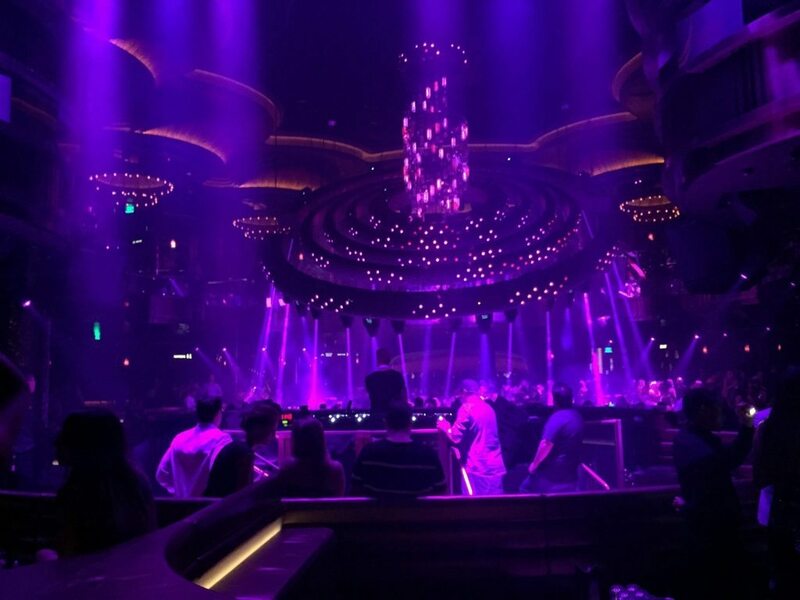 Clubbing at OMNIA- I usually skip the loud clubs but I decided to check out OMNIA because after all, it’s Vegas! I was told that this was the new hot spot and place to be in Vegas. We got there at 10:30pm and the line was so long you would think they were giving away free money inside. Luckily our group was allowed to skip the line, ditch the $60 cover charge and waltz right in thanks to a connection to management. The photo below was taken behind the DJ booth. It’s a rotating chandelier! Mobs of people including myself took videos and photos of this attraction. I also found it amusing that they blasted confetti in the air several times. Usually that’s reserved for new years, but apparently in Vegas, a Monday night calls for confetti blasting. If you enjoy the nightclub scene, this spot is definitely one to experience. 7. 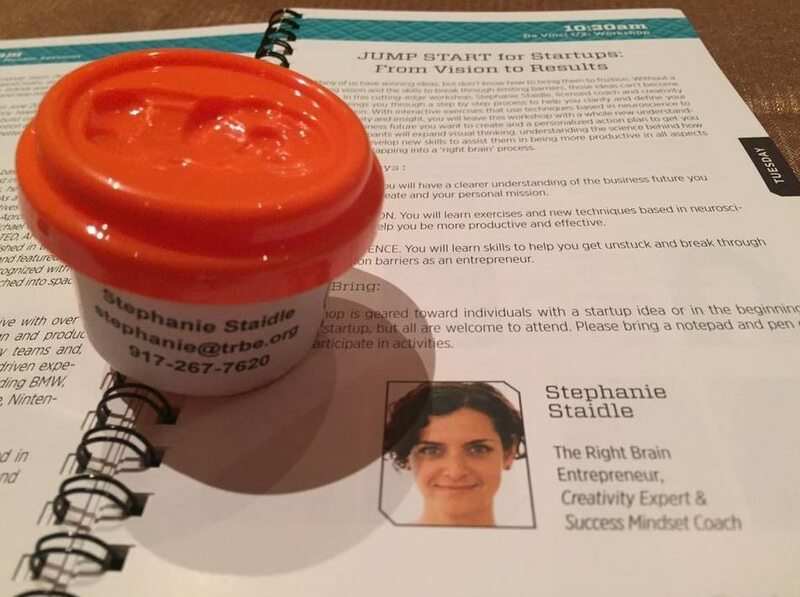 Jump Start for Startups: From Vision to Results Workshop- This workshop was hosted by Stephanie Staidle, Founder of the Right Brain Entrepreneur. The session inspired me to be more creative with my business and to think of different solutions overcoming roadblocks and challenging situations. We completed an exercise where we jotted down things that described us, things we love and things that break our heart in different columns. She had us use our right brain to connect all the things from each list and also find images in magazines that fit with our lists and visions. I enjoyed the hands on aspect of the workshop and it was also fun to win a tub of clay dough by answering a question. Prizes are a great way to engage audience members. 8. 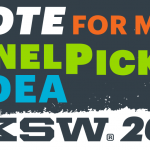 SXSW Panel Picker Success Tips– I get asked all the time: “How do I become a SXSW speaker?” so I attended a session hosted by Hugh Forrest to learn all the tips and tricks. Hugh is the Director of SXSW Interactive so he’s the best person to give you the inside scoop. 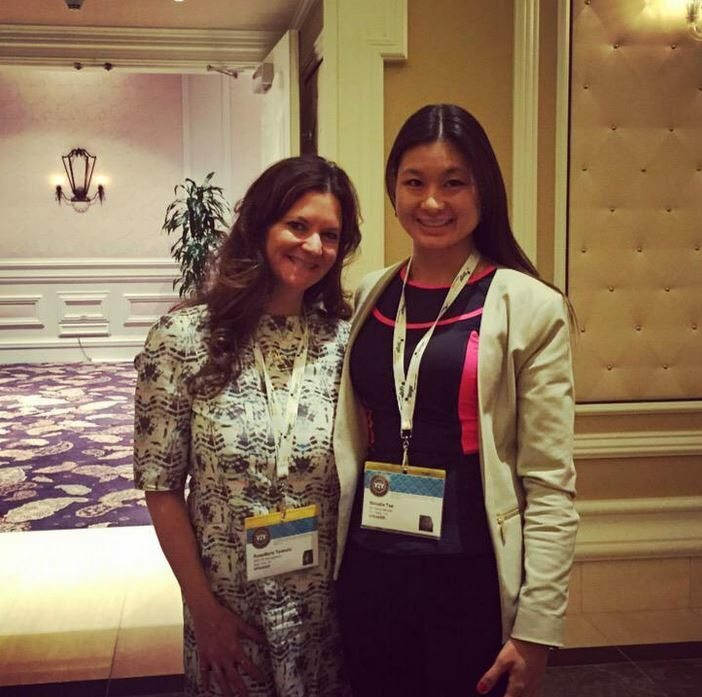 Here are the top 5 tips I learned to increase your chances of being chosen as a SXSW Speaker. Apply to speak at multiple SXSW events. Most people only apply to speak at SXSW Interactive so the competition is fierce. Customize your presentation to fit SXSW Film, SXSW Music and SXSW Edu. You have a better chance of getting chosen with a solo session versus a panel. Many people on panels don’t prepare as much as a solo session because they rely on other panel members. If you’re hosting a solo session, the spotlight is on you, so you will be more motivated to prepare. If you are going to apply to speak on a panel, make sure the panel is diverse. An all male panel, won’t fly. Don’t include 2 people from the same company or 2 people who do the exact same thing. Include a video! This personalizes your entry. It can be a short video you make on your own with your phone. It doesn’t have to be anything fancy. Having one will significantly increase your chances. Grammar and typos will count against you. Make sure to proofread multiple times and then proofread again. Unfortunately, the application deadline for SXSW 2016 is over but these are things to keep in mind for next year. I also feel that these tips are relevant when applying to speak at other events and conferences. 9. Special Invites for Marketing Melodie Friends– I love rewarding friends who are a part of my community! I send out a weekly Marketing Your Way to Success newsletter. 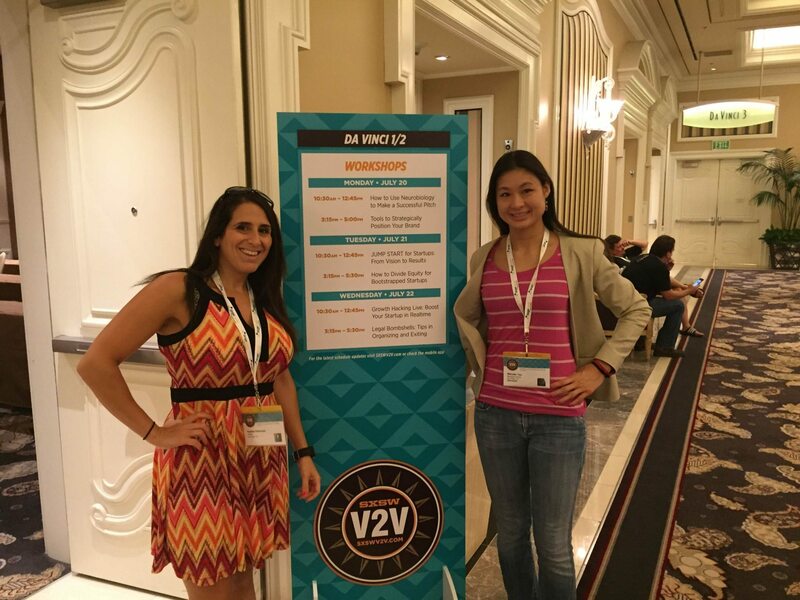 In my newsletter, I offered readers a chance to attend SXSW V2V with me. I was happy to have Grace from the San Diego Regional Chamber of Commerce, Charlie from Any Budget printing both join me from San Diego and Andrea who is an Executive Recruiter in Vegas join me as well. Yes that’s right, being a part of my community has perks! If you want to make sure you don’t miss out on chances to attend events with me like this in the future, leave me a comment and I’ll add you to my newsletter. 10. Networking Your Way to Success- Many people dread “networking” because they feel like they are selling or being sold to the entire time. I personally see it as an opportunity to learn new ideas, create friendships and partnerships. I have met some of my best friends at networking events. Another great thing about networking events is the chance to check out new venues. Here we are at The Chandelier Bar located in The Cosmopolitan. Pictured below from left to right is Bob Fine (I met Bob in 2009 when I spoke at his event Cool Twitter Conferences. It was a blast from the past talking to him), Julie Ewald who runs a content development firm in Vegas and last but not least, the host of this event, Frank Gruber. Frank is a well known Entrepreneur, New Media Journalist and Investor who founded Tech.Co. I have said this before and will say it again, but SXSW events attract visionaries and entrepreneurs from all over the world. Who wouldn’t want a chance to be in the same room with so many successful leaders? Thank you to the SXSW family for having me at this wonderful event. If you attended SXSW V2V, what were some of your favorite memories? Share with me in comments below. I am already starting to get notifications about SXSW Interactive, so I’ll see you in Austin very soon!